"Once in a generation a design icon is born that inspires and intrigues." 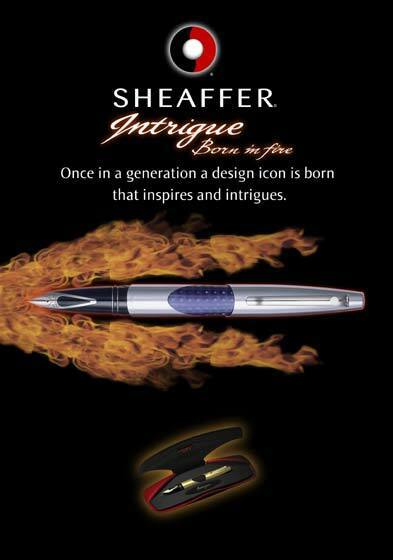 Sheaffer Pen, a division of BIC USA Inc.
All images, characters, logos and trademarks are property of their respective owners and are used here either with permission or in an editorial fashion only. Content on this site is ©2000-2002 BLAM®. Hans Presto is a Swedish lettering-artist and art-teacher. BLAM design supplies new and vintage steel pen nibs (pen points) to Scandinavian cartoonists, calligraphers and collectors. PLEASE NOTE: This web site is not affiliated with Sheaffer® Pens or BIC USA in any way. This is an independent site containing information about pens and calligraphy tools.